PA chairman welcomes Hamas’s announcement that it agrees to talks with Fatah as well as to dismantle the Gaza administrative committee. 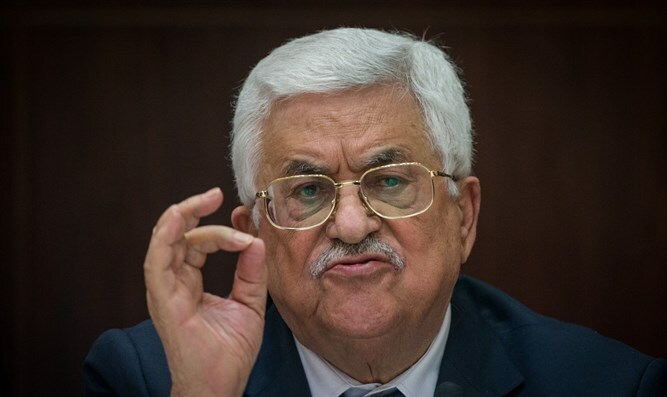 Palestinian Authority (PA) chairman Mahmoud Abbas on Sunday welcomed Hamas’s announcement that it agreed to talks with his Fatah movement as well as to dismantle the Gaza administrative committee, which served as a local independent governing authority. Yusuf al-Mahmoud, spokesman for the PA government in Ramallah, called Hamas’s decision "a step in the right direction" and a "genuine historic opportunity" to end the rift between the sides. Hamas in its announcement on Saturday night also demanded that it be integrated into a temporary leadership to be established for the Palestine Liberation Organization (PLO) and that general elections be held for the PLO and PA institutions. The spokesman’s statement did not address that demand. The Hamas leadership strives to take over the PLO and the PA through elections. Hamas and Fatah, which is headed by Palestinian Authority (PA) chairman Mahmoud Abbas, have been at odds since 2007, when Hamas violently took control of Gaza in a bloody coup, and all attempts to reconcile the sides have failed. A unity government between the sides collapsed in 2015 when Abbas decided to dissolve it amid a deepening rift between the sides. In a sign that reconciliation talks could restart, Hamas politburo chief Ismail Haniyeh this past week expressed a willingness to begin talks with Fatah following meetings with senior Egyptian officials. Later, sources in Fatah said that a delegation on behalf of the group will visit Cairo within the coming days in an attempt to resolve the longstanding Fatah-Hamas conflict.